Great joy in Abidjan! On 12th December, in the family of Lavigerie, were born eleven young confreres who pronounced their Oaths. Among them are two members of SAP: Humphrey Mukuka (Zambian) and Paul Kitha (Malawian). The oaths were received by the Vice-Provincial of PAO, Father Luc Kola. Family members and visitors were present at this event. The following day was another happy moment with their diaconate ordination given by Bishop Raymond Ahoua from the diocese of Grand Bassam of Ivory Coast. The province of SAP was well represented. Father Alex Manda from Korhogo (Ivory Coast) was present during the pronouncement of the Oaths. Unfortunately, being the Parish Priest, he could not witness the diaconate ordination due to pastoral engagement. He encouraged the future deacons to put their trust in the Lord (Is 41, 13-20). From Aribinda (Burkina Faso), Father Joseph Makoka was also present. He celebrated the thanksgiving Mass in which he reminded the newly ordained deacons that we are not the light of the world but Jesus alone (Jn 1, 6-8). We are not announcing our personal messages but the Good News of Jesus. This event could not pass “sans être arosé”. After the diaconate ordination, more than 400 people were invited at our home to share a meal. It was worth celebrating. 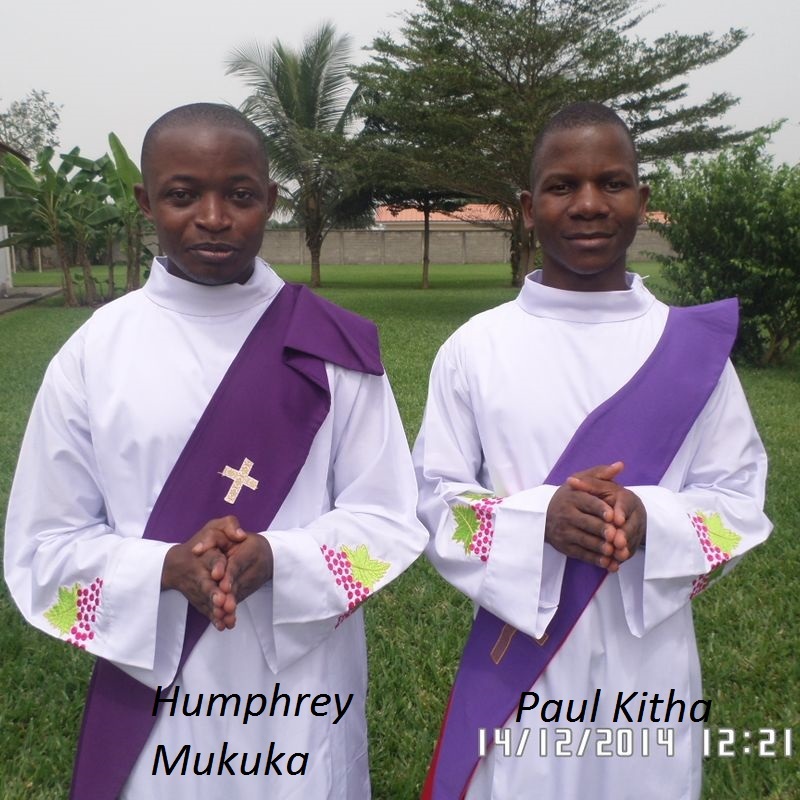 Let us continue to pray for our brothers Humphrey and Paul as they enter their full mission at the service for the African World. Receive our cordial greetings. May God bless you all in your mission wherever you are. Our studies are going on well and we hope to move ahead with the help of the Holy Spirit. We commend ourselves to your prayers as we continue our vocational journey.